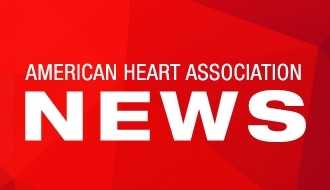 DALLAS, Monday, June 22, 2017 – Nancy K. Sweitzer, M.D., Ph.D., will become the editor of Circulation: Heart Failure, one of 12 American Heart Association scientific journals, on July 1, 2017. Circulation: Heart Failure is the resource for high-quality, novel and clinically relevant articles focusing on clinical and translational research in heart failure, mechanical circulatory support and heart transplant. This online-only journal, published monthly, provides coverage of topics including new drug and device therapies, epidemiology, diagnostic strategies and treatment approaches, as well as articles illuminating disease mechanisms and pathophysiology in human and translational models. Sweitzer is the director of University of Arizona (UA) Sarver Heart Center and professor of medicine and chief of the Division of Cardiology in the UA College of Medicine in Tucson, Arizona. Her clinical research program focuses on the better understanding how to improve symptoms and organ function in heart failure patients. She has done extensive work on the physiology of heart failure with preserved ejection fraction. She serves as a member of the National Heart Lung and Blood Institute Clinical Trials Study Section. “Dr. Sweitzer is nationally recognized for her experience and leadership in clinical trials, and brings enthusiasm and commitment to her new post as editor of Circulation: Heart Failure,” said Robert M. Carey, M.D., Chair of the American Heart Association’s Scientific Publishing Committee and Dean, Emeritus, and University Professor at the University of Virginia Health System in Charlottesville, Virginia. More information about the journal is available at http://circheartfailure.ahajournals.org/. Nancy K. Sweitzer, M.D., Ph.D. Editor-in-chief of Circulation: Heart Failure and director of UA Sarver Heart Center, professor of medicine and chief of the Division of Cardiology in the University of Arizona College of Medicine in Tucson.